So, you have a Mac and a Dropbox account and you’d love to know exactly how to make all of your apps and app data sync automatically? Well, you’ll be pleased to know there are ways to do this, and they are generally quite easy, depending on how in-depth you want to go. Why would you want to sync your app data? Well, perhaps in order to keep backups in the cloud. Or maybe you would do this in order to sync with another computer somewhere. 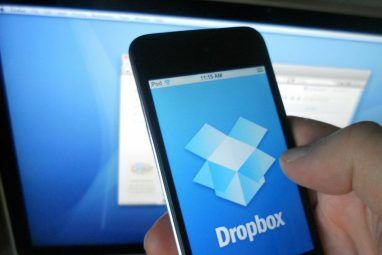 Some apps have internal support for Dropbox sync, which make it simple to keep your apps and computers in sync. But, even if your favourite apps don’t offer in-app sync, there are usually still ways to do it. If you’re keen to back up all of your Mac apps, you could create a symbolic link (symlink) to Dropbox for the entire applications folder using one of many methods we’ll go through later. This would no doubt be huge, but it could save you from having to find them all again in the event of a disaster ruining both your Mac and your Time Machine backup. All you need to do is create a symbolic link in Dropbox to the folder containing your app data. You may wish to make this symlink for just the specific app, or to the entire “Preferences” or “Application Support” folders, depending on your needs. If you see a red cross when you view the result, you’ll need to adjust the permissions of the source file or folder. If you’re having trouble with the locations, type “ls -s” and a space, then drag the folder from finder into Terminal. If you’re a fan of Mac’s Automator tool, Bakari has noted how you can set up symbolic links using Automator Use Automator to Create Symbolic Links to Dropbox on Mac Use Automator to Create Symbolic Links to Dropbox on Mac Read More . He’s also gone into detail about how you can clean up your Dropbox account using Automator 3 More Ways To Manage Your Dropbox Files You May Not Know About 3 More Ways To Manage Your Dropbox Files You May Not Know About Our favorite, all-time file sharing service, Dropbox, generously provides up to 2 gigs of file space for free. 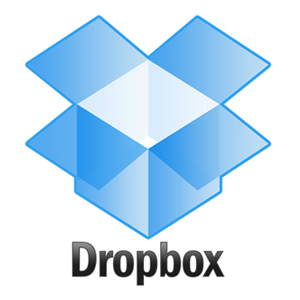 For many users this might be enough, but now that Dropbox is becoming the central cloud syncing... Read More . You can use MacDropAny to easily create symbolic links for any folder you’d like to sync to the cloud. This works for many types of cloud storage, including Dropbox, Box.com, Google Drive, iClouDrive and Microsoft Skydrive. The free Mac app makes it really easy to sync folders to the cloud and to keep track of which folders you are syncing. It’s fully integrated with the Mac system, so you can right-click on a folder in order to set up Dropbox syncing. 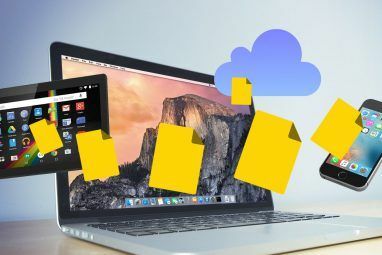 This makes it the ultimate Mac tool for users of cloud storage – as everything is so easy to set up. For Windows users, you have a smilar tool called Dropboxifier. Dropboxifier is a simple little tool to create symbolic links in your Dropbox folder to folders you’d like to save. It makes the process of creating and keeping track of your symbolic links really easy and it’s perfect for backing up program settings, game saves and other app data. Despite the name, it’s now available for Google Drive, Skydrive and any other cloud storage that creates a virtual drive on your machine. Read more about Dropboxifier for Windows. 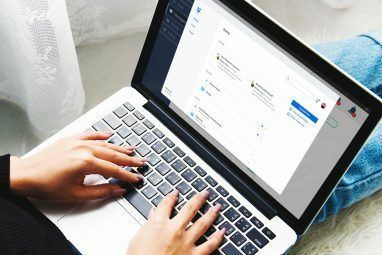 There are so many wonderful ways to sync your documents and apps to Dropbox 10+ Best Apps for Your Dropbox 10+ Best Apps for Your Dropbox If you've been using Dropbox for a while, you may not have noticed that a whole ecosystem of applications have been built up to use the service. Over time, these apps have sprung up to... Read More on top of the regular Dropbox apps. For Android, you can use the Dropspace app to sync folders from your SD card Automatically Sync SD Card Directories To DropBox With DropSpace [Android] Automatically Sync SD Card Directories To DropBox With DropSpace [Android] If you're anything like me, the new year is a time for refreshing and changing things. Something I like to do for my phone is to check if there's now a better way of doing... Read More , Chrome has a widget to access your files, and many web apps will sync Dropbox documents for various uses for Dropbox you may not have thought of Top 10 Uses For Dropbox You May Not Have Thought Of Top 10 Uses For Dropbox You May Not Have Thought Of For many advanced computer users, Dropbox is the premiere cloud-based storage and sharing document service. It has replaced the Documents folder on my Mac, and is the primary way I sync files between my devices.... Read More . If you’d like to know more, check out our full Dropbox guide The Unofficial Guide To Dropbox The Unofficial Guide To Dropbox There's more to Dropbox than you might think: you can use it for file sharing, backing up your data, syncing files between computers and even remotely control your computer. Read More , available online or as an eBook or PDF. Mac users with multiple Dropbox accounts might also like to learn how to run two Dropbox accounts on a Mac simultaneously How To Run Multiple Dropbox Accounts Simultaneously [Mac] How To Run Multiple Dropbox Accounts Simultaneously [Mac] Read More . What’s your favourite way to sync Mac apps to Dropbox? Let us know, along with any of your favourite tips in the comments below. Hi, Angela! ?Very interesting article, but don’t understand one thing. ?When I make symlink for my folder that i want to sync and placed it to my Dropbox folder (AppBackup) what do i do on the second computer? ?For example I symlink my AdressBook to Dropbox and then go to second computer, sync Dropbox folder but nothing happens. ?Im be so happy if you answer to me and help me resolve my problem. Very interesting article, but don't understand one thing. When I make symlink for my folder that i want to sync and placed it to my Dropbox folder (AppBackup) what do i do on the second computer? For example I symlink my AdressBook to Dropbox and then go to second computer, sync Dropbox folder but nothing happens. Im be so happy if you answer to me and help me resolve my problem. It doesn't sound like you've set it up correctly yet. When it's done right, those files should appear in Dropbox and on your second computer with the other Dropbox files. Good luck!